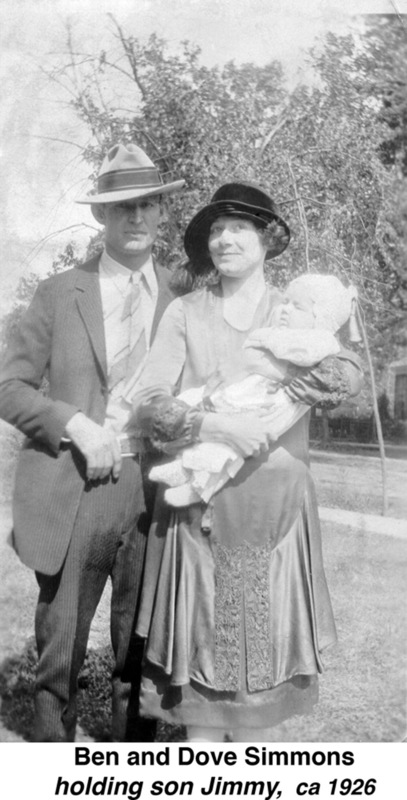 His wife was Dove Jane Hopkins, who he married on 3 OCT 1925 in Newport, Jackson County, Arkansas. 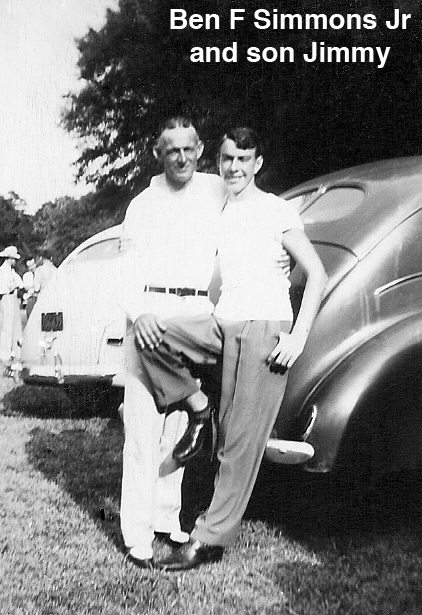 Their only known child was James Robert (1926-2005). 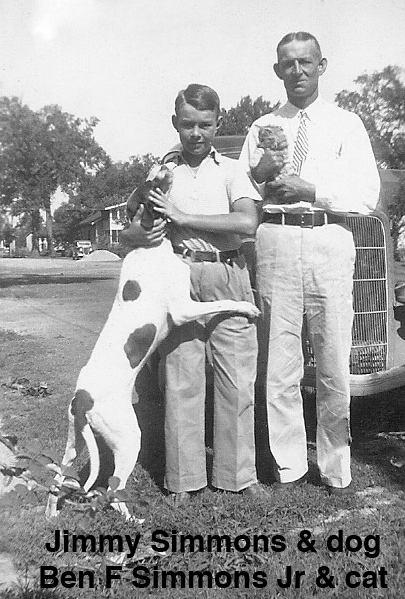 Address: House number 611, visit number 54, renter, Simmons, Ben F head mw 40, born Ark, same place in 1935, Salesman for Insurance Co. __ Dove J, wife fw 36 fw married born Ark, same place in 1935. Recreation Leader in under priviledge recrecation Center. __ James R son, mw, 13 single born Ark. 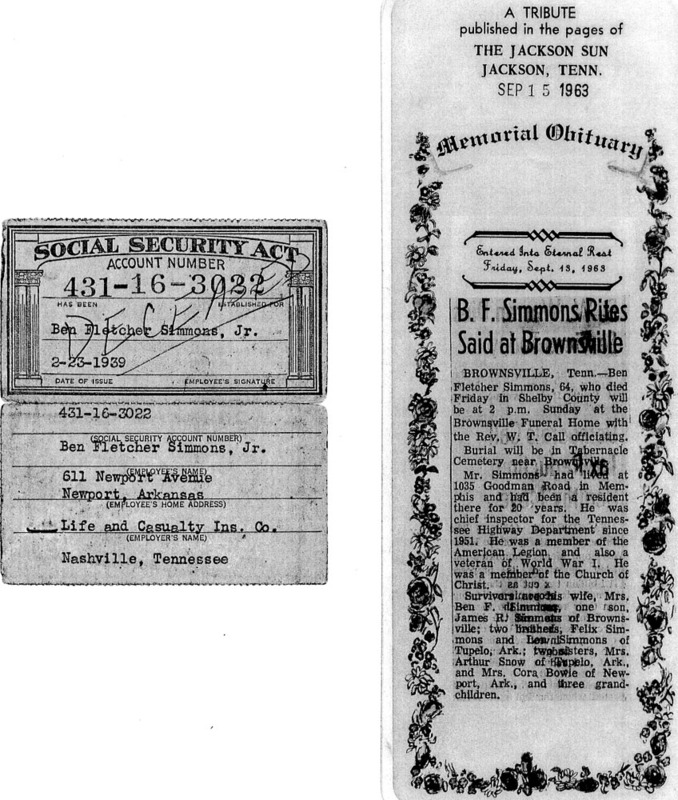 Memorial Obituary: A tribute published in the pages of the Jaskson Sun, Jackson, Tenn. Sep 15, 1963. 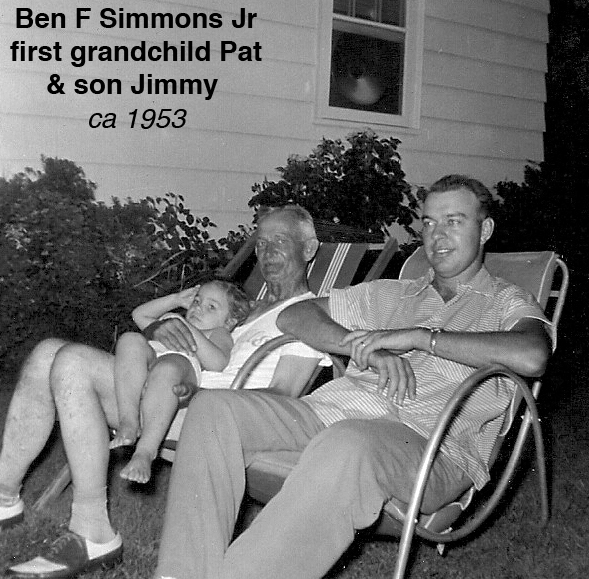 Entered into enternal rest Friday, Sept, 16, 1963; B.F, Simmons Rites Said at Brownsville. Brownsville, Tenn.-Ben Fletcher Simmons, 64, who died Friday in Shelby County will be at 2 p.m. Sunday at the Brownsville, Funeral Home with the Rev. W.T. Call officiating. 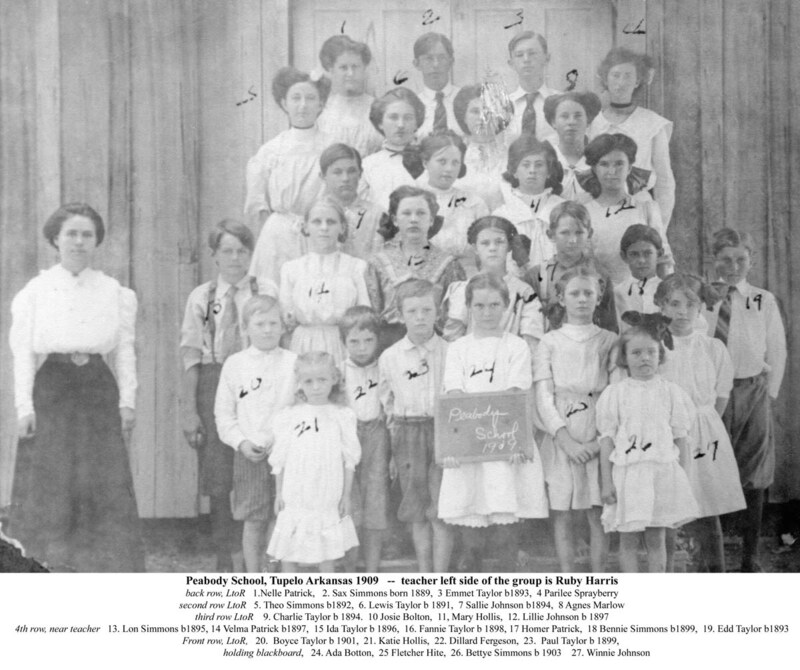 Bural will be in Tabernacle Cemetery near Brownsville. 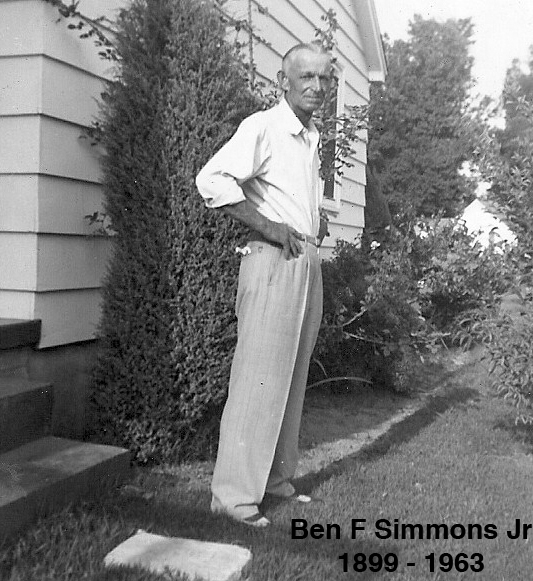 Mr. Simmons had lived at 1035 Goodman Road in Memphis and had been a resident there for 20 years. 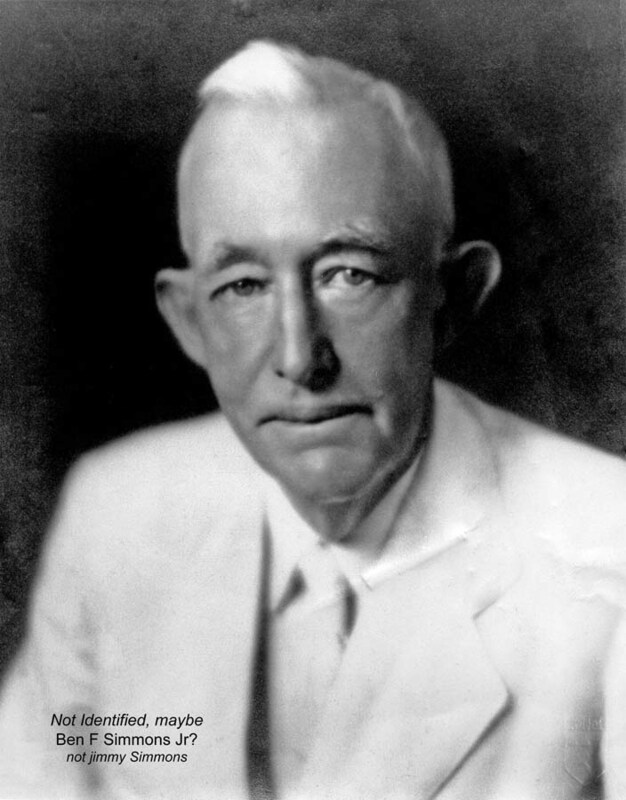 He was chief inspector for the Tennesse Highway Department since 1951. 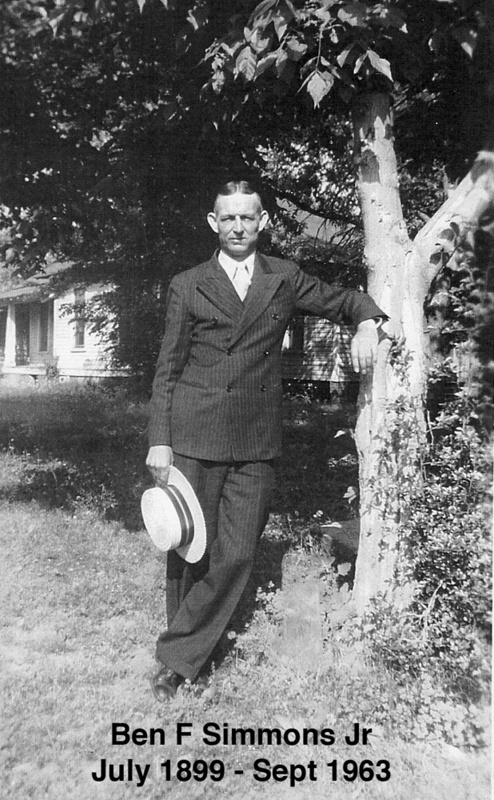 He was a member of the American Legion and also a vetern of World War 1. He was a member of the Church of Christ. 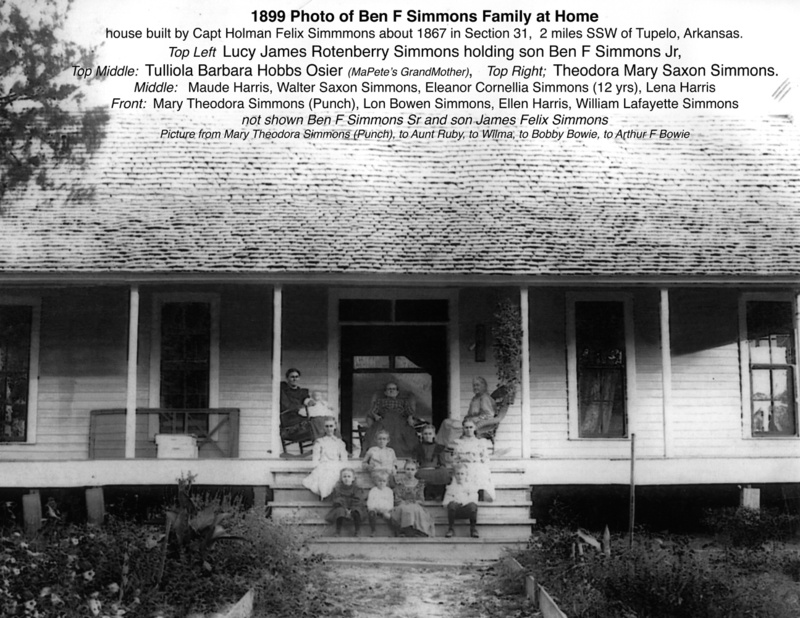 Survivors are his wife, Mrs. Ben F Simmons, one son, James R.Simmons of Brownsville;two brothers, Felix Simmons, and Lon Simmons of Tupelo, Ark; two sisters, Mrs Arthur Snow of Tupelo Ark, and Mrs Cora Bowie of Newport, Ark, and three grandchildren. 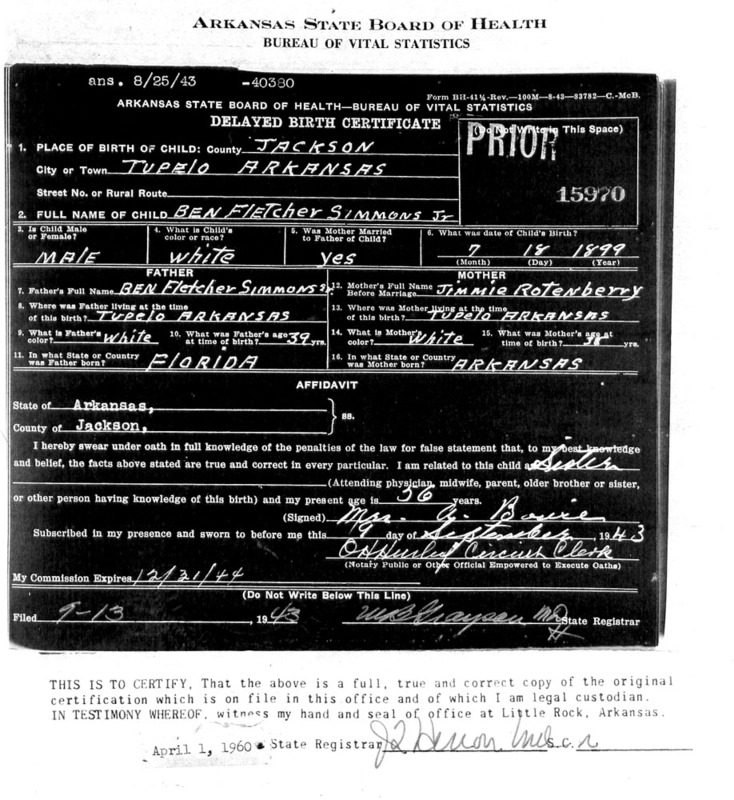 Ben Jr was in Detroit Mich in 1918 for draft register and enter service. 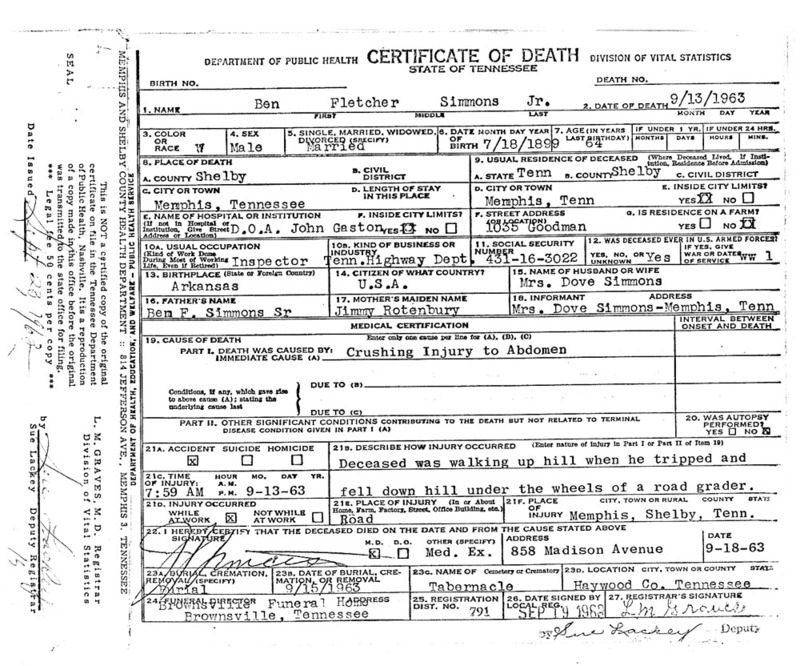 7:59 AM, 9/13/63 on a road in Memphis, Shelby, Tenn.
enlisted in US Navy at Oklahoma City on 22 Dec 1920 as Seaman second Class. and Pearl Harbor T.H. USS Chicago. 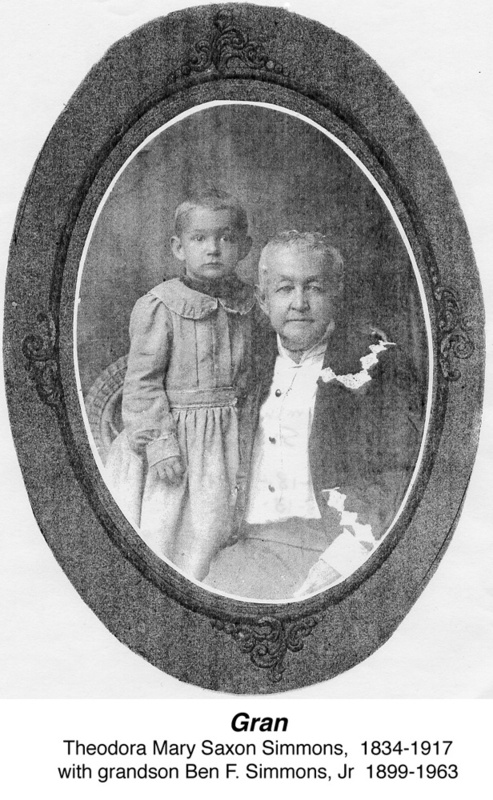 Discharged after 2 yrs and 1 day on 22 Dec 1922 at San Francisco.